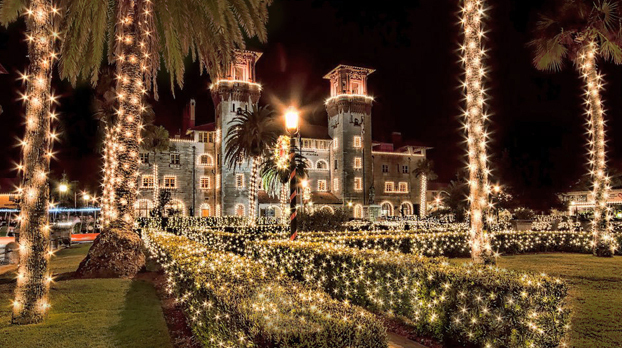 Over two million brilliant lights illuminate the City of St. Augustine! Get ready for ten weeks of festivities and holiday events throughout the area. The local crafts, art, music and song combined with a spectacular bay view and endless dining options around every corner make The Nights of Lights a magical Florida tradition that should not be missed! 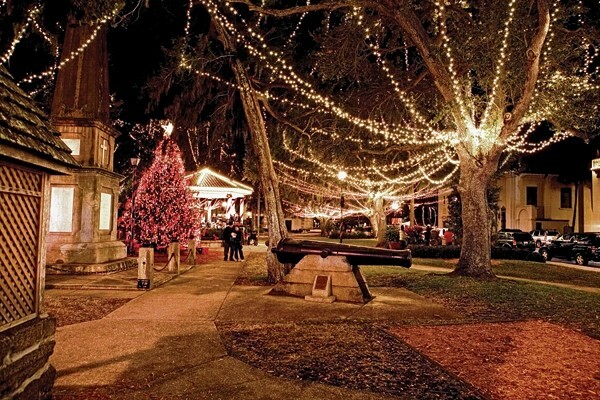 For a touch of romance, enjoy an intimate horse drawn carriage ride along the bayfront and hidden oak lined streets. Or perhaps, share a little bubbly on the water with a sunset or starry night moonlight cruise. For the ultimate in family fun complete with cookies, cocoa and Santa’s Elves, board the special Holly Jolly Holiday Trolley for a festive unforgettable tour of the city. The Inns of Elegance, a collection of bed & breakfast properties, are offering – a train ride and a glass holiday cheer at the popular Tini Martini Bar – included with any 2 night stay Sunday thru Thursday. For a complete Nights of Lights schedule, visit website: Florida’s Historic Coast.